Viewers who tuned in to Fox’s singing-competition workhorse “American Idol” during the Phillip Phillips or Kelly Clarkson eras might notice a few changes when the show’s 14th season kicks off Wednesday. Randy Jackson, the “dawg”-slinging judge from season one who shifted to a mentor role last year, is gone. The Coca-Cola cups that used to sit proudly in front of each judge will be absent, a casualty of the soft-drink giant ending its sponsorship of the show last month. Perhaps most crucially, once the competition kicks into high gear, and this year’s hopefuls try to use their voices to win Americans’ hearts (and votes), the show will only air one night a week — a far cry from previous years, during which Fox would sometimes fill its schedule with as many as three nights of “Idol” performances and pageantry in order to maximize ratings. All these changes are part of a retrenching for the former Fox juggernaut, which has experienced a few growing pains as it’s entered reality-TV adolescence. “Idol” had experienced a bit of a dip since its late-2000s high point, when laid-back rocker Kris Allen and glam-slam stylist Adam Lambert approached pop stardom from opposite sides of the spectrum. Phillips, whose strummy charm led to his winning season 11 and his track “Home” becoming (and remaining) an adult-contemporary radio staple, seemed like a step in the right direction for the show, if not a complete bounce-back. But then NBC’s pop-star search “The Voice” grabbed attention with its swivel chairs and big-name talent. “Idol” reacted by taking that show’s second-most-notable aspect — experts who were current recording stars, and not execs a la “Idol” grump Simon Cowell — and repurposing it to decidedly mixed results. The season 12 judges’ panel, which contained Jackson, Mariah Carey, Nicki Minaj, and Keith Urban, became more notorious for its tiffs than its tips; their boldfaced-name status resulted in the contestants being overshadowed. 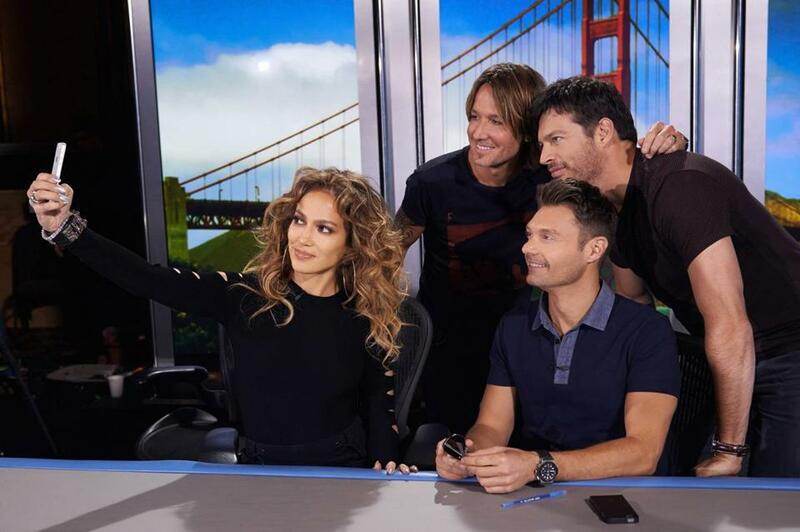 Last year, the show tried to right the ship: Urban stuck around, joined by multi-hyphenate diva Jennifer Lopez, who’d been a judge in 2011 and 2012, and Cajun crooner Harry Connick, Jr., whose guest appearances were consistent highlights of earlier seasons. Jackson, meanwhile, was relegated to a mentorship role. Season 13 was uneven. But the judges’ panel had chemistry, and the show’s ratings, while not Nielsen-topping the way they were years ago, remained steady enough to lead Fox’s 2013-2014 programming slate. Meanwhile, as “Idol” gutted it out, its same-network rival “The X Factor” ended its run, and other shows like ABC’s app-assisted “Rising Star” and NBC’s a capella competition “The Sing-Off” aired to diminishing returns. Which brings us to season 14: The judges’ panel is intact, and the ever-professional Ryan Seacrest is still host; the show will be down to one night a week; the top 48 singers have already performed live, at a show in Los Angeles last month; and Scott Borchetta is the new official mentor. The CEO of Big Machine Records might not be a household name, but he did see potential in a young singer named Taylor Swift. Borchetta’s presence is a sign that despite its lower ratings, “Idol” still believes in itself as a place where pop stars are born. It has a better track record than its singing-show competition; winners of shows like “The Voice” and “X Factor” haven’t made the splash of an Allen or a Phillips, let alone a Clarkson. The star-making landscape, though, has changed substantially since Clarkson and Underwood went from prime-time TV to pop radio. YouTube, which birthed teen idols like Justin Bieber and Austin Mahone, and Vine, the snippet-filled social network that helped up-and-comer Shawn Mendes snag a record deal, both launched after “Idol”; pop radio has become laser-focused on the youth market, both in style and substance. And the whole notion of what makes a pop star has adjusted as record sales have sagged and Billboard has tweaked its chart methodologies. It’s a slow, steady path to pop stardom — a pace that “Idol,” now stripped-down and free of the pressure to outperform all its network TV rivals, would do well to emulate. • Is reality TV running on fumes?